ZION COMMUNICATION supplies a wide range of CCTV coaxial cables for today’s video surveillance systems. These 75 Ohm low loss cables offer optimum performance for main distribution use in video surveillance systems where extended cable runs are required. These products are available to support most main video surveillance solution brand,such as SONY,HONEYWELL,ARIX,HIKVISION,DAHUA,HELLOSIGNAL and more. 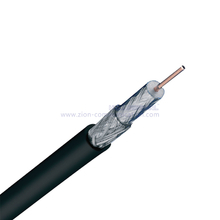 All HANGZHOU ZION COMMUNICATION CO.,LTD CCTV Coaxial cables comply with International standards within the industry. If you do not find the product you need in then we offer the option of a special custom design cable. Here you can choose between different constructions, jacket colours or other materials etc.